Angry Birds has been around on the iPhone and Android platform for a while now, more recently the Windows Phone 7 platform. Angry Birds is one of those games that a highly addictive, stuff that can stop you washing for days or even miss a train. and if you don't have much skill at this game, or cant follow a You-Tube guide, you're screwed. The graphics are great for a WP7 game, you dont want them too detailed and high contrast as it will take a long time to load, etc. However they are infact HD. They are cartoony, which is eye therapy in actual fact. The audio is catchy, you start up the game and a bright, fun tune plays out at you. Through the levels the birds are squarking and although that sounds annoying it can seem rather peaceful. There is a series of levels, 4 series each with three pages of levels, each page contains 15 levels. The game fairly is difficult to complete, really hard to complete if you dont use a You-Tube guide. After you have completed World 1, all other three Worlds open up for you to explore. World 3 & 4 are quite difficult. World 3 shows you a new type of scenery background. The first you discover is a New-York themed Nightlife background, the second being snowy. This adds something new to the game, so you don't feel like you're playing everything the same. Rovio, the creators are constantly updating on the Android platform, and I've had an update with this game which brings more and more levels, this only suggests free DLC which is infact automatically implemented into the game. 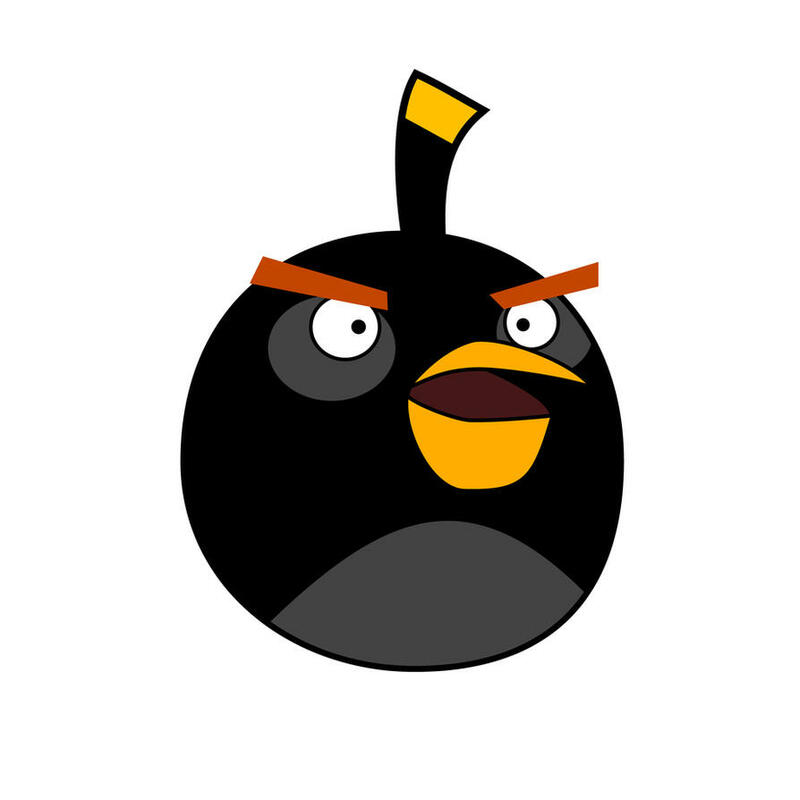 There are many types of birds, such as the original red ones, bomb birds, dropping egg birds and even boomerang birds. Each one does something different. -The original bird, is red and does nothing. -The small blue birds, after they have been sling shotted if you tap the screen, they break into three. -The black bomb birds, explode upon contact with the surface. 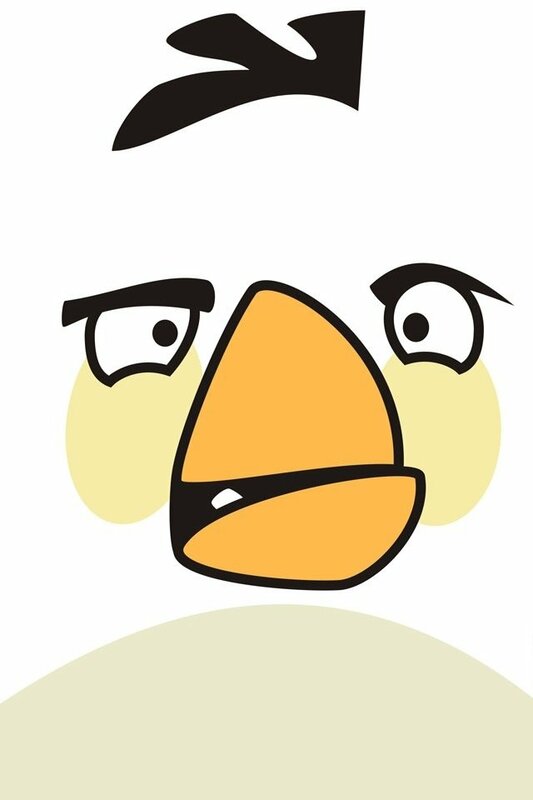 -The fat white bird drops an explosive egg if you tap the screen. -The triangle yellow birds when tapped shoot faster. -The fat red ones take out anything in their path. So that bring something fun and exciting, as opposed to the bog standard red bird. There is many Golden Eggs for you to collect, if you collect 10 you get an achievement. This is fun, collectable achievements are like Marmite - you either love to get them, or hate to get them. Some are actually hidden in places like credits, title screen and more! Once you have collected golden eggs, you unlock crazy levels, like ones filled jam packed with beach balls. There is also a Leaderboard function which many people may over look. It shows your friends scores which makes the game that bit extra, you can compete with your friends to try and beat their scores. Overall, this game is simply addictive, fun and enjoyable. Its a strategy game, that is successful - Rovio should be proud. I'm going to give it a 9/10, there are many enjoyable levels, plus bonus levels a cut scenes. There is nothing much else to add to this game, however it is not actually perfect.